DRUPAL CITY | Welcome to Drupal City! It's not Christmas yet but we have a little gift for you: the first session videos are now available. What a great opportunity to recap that awesome Drupal weekend back in september and make plans for the upcoming events in 2012. ... and yes, there are more videos to come. Stay tuned! Semantic Web - Quo Vadis Internet? Thanks to all sponsors of DRUPAL CITY, all attendees and all volunteers for making this possible. Have a save trip home! See you soon in Essen. Warm up and come together - Friday, 16th. Location: C-Base Space Station, Rungestraße 20, 10179 Berlin. Thanks to the Drupal Initiative for organizing and supporting this event. For details check our socialize page. Final session schedule is ready and can be found here. You can vote and bookmark the sessions you want to attend. The schedule is now published! The long awaited session schedule is now available. Have a look at what you can expect from your drupally awesome weekend in Berlin. And if you find a track you don't want to miss at all, think about becoming a chairman or chairwoman and you will be in the front row when your favourite topic is on. 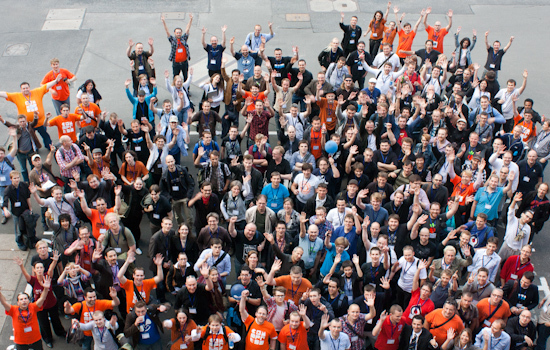 We need you to make Drupal City Berlin 2011 an unforgettable Drupal experience. Now it's even easier to become a vounteer. Check out the new volunteers calendar or the "List of Heroes" as we call it and give us a helping hand.